“Hird” Military Sports Badge - Bronze, Silver, Gold. Rarity – Very Rare, Very Rare, Extremely Rare. 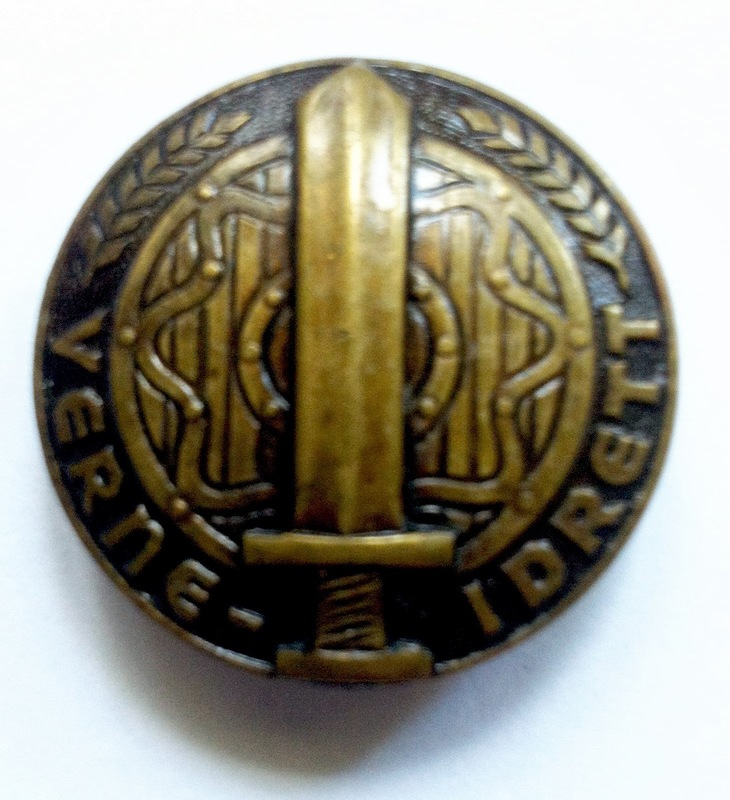 “Hird” Military Sports Badge - Bronze - Obverse. “Hird” Military Sports Badge - Bronze - Reverse. The badge comprises of circular convex disk that has a diameter of 32 mm.It has a raised edge line a 24 mm Viking shield with Nordic eight pointer design with a circular boss. Across the badge perpendicularly is a broad bladed two edged sword. Into the tramlines formed by the edge line and the outer edge of the shield in raised capital letter VERNE – IDRETT, above on either side is a six two leave frond with a single leaf tip. The field is darkens. The reverse is plain with an indentation of the sword. 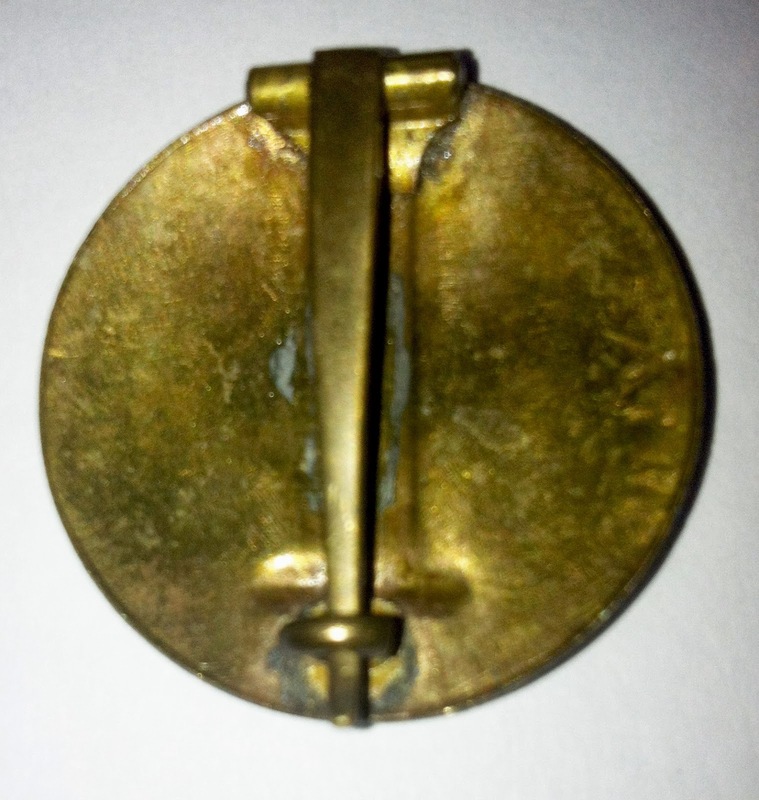 It has a flat hinge with broad tapered pin and a wire “C” hock at the base. The overall finish is lacquered. 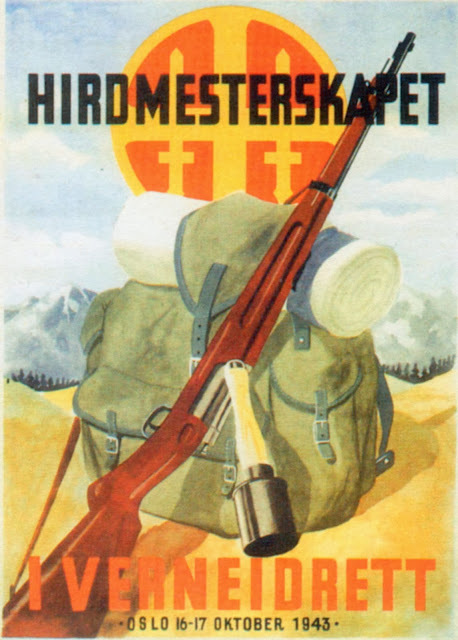 The Nasjonal Samling Party Badge.